A summary of Stakeholders Theory, from my point of view, posits that economic incentives can be used to promote conservation among those who have something to gain/lose from such efforts. This idea has often been used, especially in community-based initiatives, in which increased income is linked to the success of biodiversity protection or restrained resource use. This has been a popular train of thought in resource management and environmental conservation activities worldwide. However, some researchers are cynical of this method as it may be undermining alternative conservation frameworks already existing in indigenous communities, which are less economically motivated. The problem with the Stakeholders Theory is that it is largely dominated by a neoliberalism mindset in which a market-based system is adopted to achieve desired results (Fletcher, 2009). Yet, many indigenous communities who are drawn into the promise of collaborative or community based management ventures do not necessarily operate with this mentality. As a result, the imposed framework of a largely western-based economically motivated conservation scheme, which masks itself as a grassroots endeavor, risks transforming indigenous culture and discounts the existing alternative motivations for conservation, which may be more successful if given the right avenues for implementation. Such motivations may be more reliant upon social capital, intrinsic values or religious beliefs. 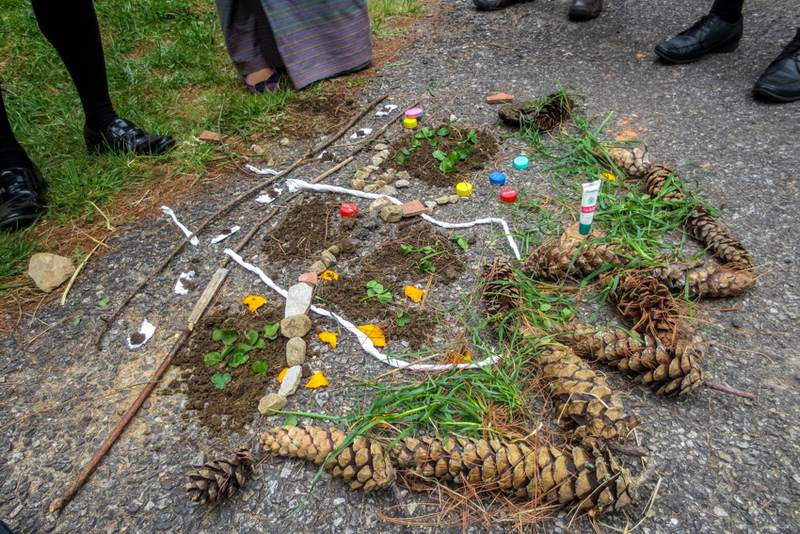 There is an added concern that by integrating a scheme that alters ones interaction or understanding of the environment, and ultimately their underlying worldview, there may be additional socio-cultural elements that are transformed. Such transformations may include community interactions, traditional livelihoods, and resource management practices. So the question is, how harmful is the Stakeholders Theory? Can it achieve more sustainable results as opposed to existing motivations for conversation? Or does it do a disservice in displacing these existing motivations? I must admit, I don’t have a firm answer to these questions, only suspicions. I naturally find economic incentives as very motivating towards conservation efforts as I’ve experienced in the west and other contexts, however I have not taken the time to explore alternative indigenous motivators. It is to this end that I hope to explore further in the future. Fletcher, R. (2009). 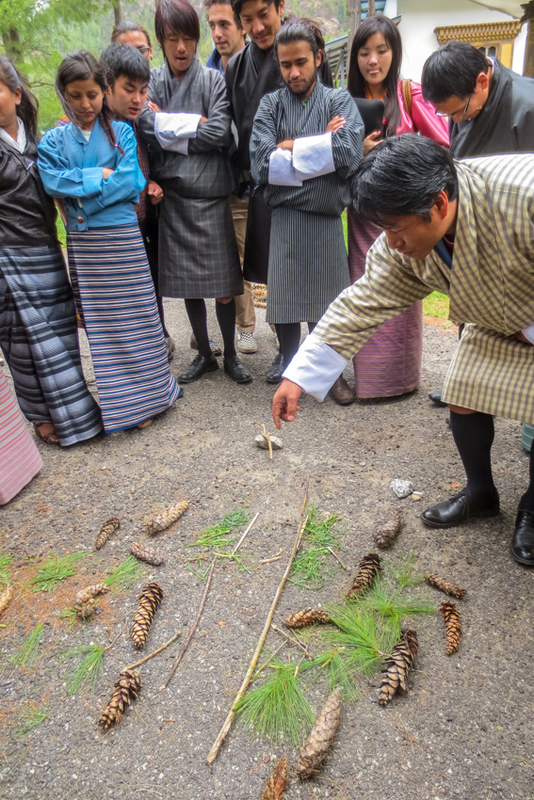 Ecotourism discourse: challenging the stakeholders theory. Journal of Ecotourism 8(3), 269-285. Participatory Rural Appraisal (PRA)1 is a method, or set of tools, that is used to promote interactive participation of rural communities in the generation of knowledge for planning and management decisions. PRA consists of a number tools including transect walks, semi-structured interviews, and participatory mapping, all of which aim at inclusive strategies targeting marginalized individuals, such as those who may be illiterate. This approach to data gathering has a number of benefits including capacity building, promotion of traditional ecological knowledge, and collaborative decision-making. This last week I took the time to engage my students in a Participatory Mapping exercise to familiarize them with this data gathering methodology. 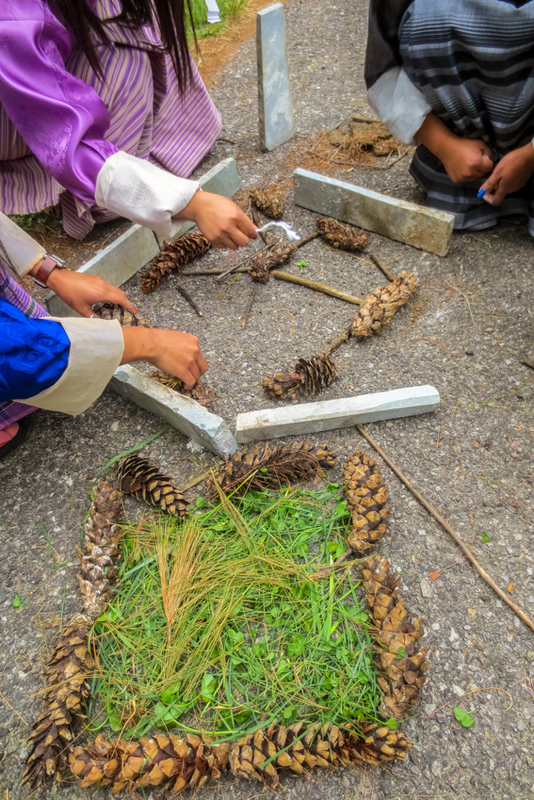 This method involved getting them outside, splitting them into groups and posing the challenge of creating there home communities/villages using only things they could find such as sticks, stones, grass, and even garbage items. The results were fantastic. Students were enthusiastic to be involved and found creative ways to assemble the interactive maps of their homes. I could tell they were having fun. After about 20 minutes they had completed their maps and we walked to each groups’ creation giving them time to report the various features they highlighted in their communities. In the short time they had generated a wealth of knowledge including the location of agriculture lands, forest resources, water supply, key religious sites, and even began to highlight some of the problems yet to be resolved such as waste management and irrigation. Such information, if applied to a live development case study, would serve as a wealth of material to help inform sustainable decision-making, regardless of the type of project being implemented. 1Chambers, Robert. (1994). The origins and practice of participatory rural appraisal. World Development, 22(7), 953-969. 2Spaling, H., Montes, J., & Sinclair, J. (2011). Best Practices for Promoting Participation and Learning for Sustainability: Lessons from Community-Based Environmental Assessment in Kenya and Tanzania. Journal of Environmental Assessment Policy and Management, 13(3), 343-366.